Crafted with authentic Swiss chocolate and combined with an assortment of natural ingredients, the Java Lounge `love you ` 6 Piece Assortment Of Milk Chocolates is a treat for everyone with a sweet tooth. The 6 chocolates have distinct flavours of their own and an unmatchable taste. 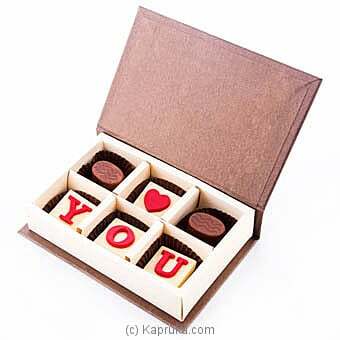 The chocolates are delicately hand packed in a sophisticated box for gift giving.